Eliyahu Rips grew up in Riga, Latvia (then part of Soviet Union). He was the first high school student from Latvia to participate in the International Mathematical Olympiad. After high school he attend the University of Latvia. In 1969, in a protest against Soviet invasion of Czechoslovakia, Rips attempted self-immolation in a protest against Soviet invasion of Czechoslovakia. After that, he was incarcerated by Soviet government but, under pressure from Western mathematicians, was allowed to emigrate to Israel in 1972. In 1975 he completed his PhD in mathematics at Hebrew University. His topic was the dimensional sub-group problem. His dissertation was recognized as being of international interest and he was awarded the prestigious Aharon Karzir Prize. In 1979 Rips received the Paul Erdo”s prize from the Israel Mathematical Society. In 1994 he was a sectional speaker at the International Congress of Mathematicians. Since completing his PhD, he has been on the faculty of the Department of Mathematics, at Hebrew University where he holds the position of Professor. His current research interests concentrate on geometric and combinatorial methods in infinite group theory. This includes small cancellation theory and its generalizations, (Gromov) hyperbolic group theory, Bass-Serre theory and the actions of groups on R-trees. In the early 1980’s, Professor Rips began exploring the Torah code phenomenon with Doron Witztum. Their studies contributed a systematic computer analysis to what had been previously a curiosity. They put their experimental results through a complete statistical analysis and it was published in Statistical Science in 1994. The article showed that the Torah code phenomenon was unlikely to have happened by chance. It was this article that started the academic controversy over Torah Codes. Since 1994 Professor Rips has lectured all over Israel on Torah Codes and has developed hundreds of Torah code tables on all kinds of topics. 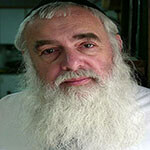 A few of his tables can be found on Website of Prof. Rips (Hebrew).